Not the African jungle, not the hot flames of a kitchen and not even a murder on the dance floor could keep them apart. The Living Room family is back and ready for business. 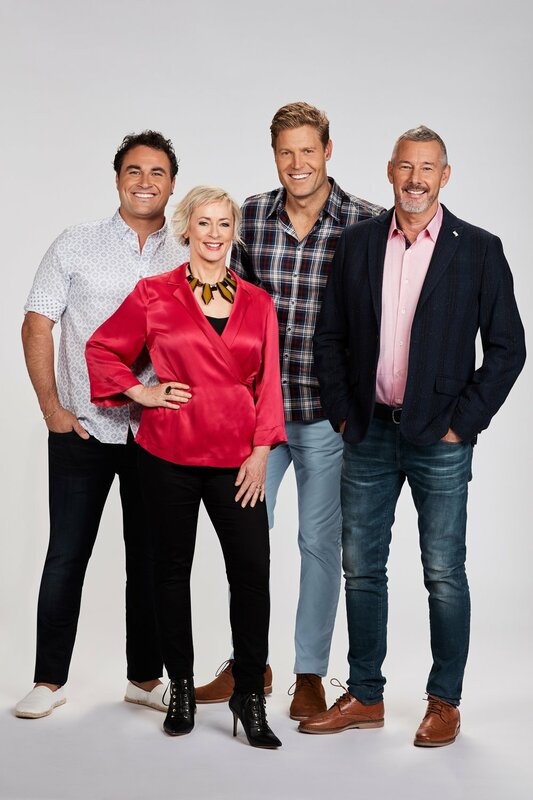 With four TV Week Logies on the mantelpiece, Amanda Keller, Dr. Chris Brown, Barry Du Bois and Miguel Maestre are ready for an eighth season that’s bigger and better than ever. Between breakfast radio and ballroom blitz’s, Amanda Keller returns to wrangle her co-hosts and steer the ship. Dr. Chris Brown is back onboard with travel tales to satisfy your wanderlust, animal stories to make you go ‘aww’ and long dreamy stares at the camera to make you go, well, ‘aww’. Master builder Barry Du Bois returns with his weekly dose of #Inspo and an ingenious solution to any reno dilemma you could think of. Plus Miguel Maestre brings that extra spice to your Friday night with divine recipes that will leave even the most amateur cook looking like a pro. This season, the gang also welcomes award-winning landscaper Matt Leacy to the couch. With over 20 years’ experience, Matt’s fresh ideas have seen him create gardens like no other, earning him the hard to come by tick of approval from Barry Du Bois himself. So don’t feel guilty for cancelling your Friday night plans, because staying in is the new going out, especially when you can spend it with four friends and a night full of laughs. THE LIVING ROOM returns Friday, 29 March at 7.30pm, only on 10 and WIN Network.